Want to know more about the Sultans? “Speed is our religion” – the Sultans of Sprint slogan says it all! As sprint competition organizers of events across Europe, they are all about pure passion for racing, dedication, quality customized sprint bikes, friendship and plenty of positive party attitude. Their events bring together motorcycle enthusiasts from all over Europe and the best customized bikes on the scene. Speed, power and performance are of course the focus for determining championship ranking, but creativity, style and sense of humour are rewarded too. Monza: Of course, we were there for the awesome launch of the season at The Reunion festival in Italy. SPA Francorchamps: Round 2 saw us travelling to Belgium as part of the Bikers’ Classics festival, the largest gathering of classic motorbikes in Europe. Plenty of Sultans dropped by our stand, shopped for A-XOC jackets and posed for a photo or two. Glemseck 101 Leonberg: Round 3 took us to the legendary Glemseck 101 festival, the biggest sprint racing and café racers open air event in Germany. 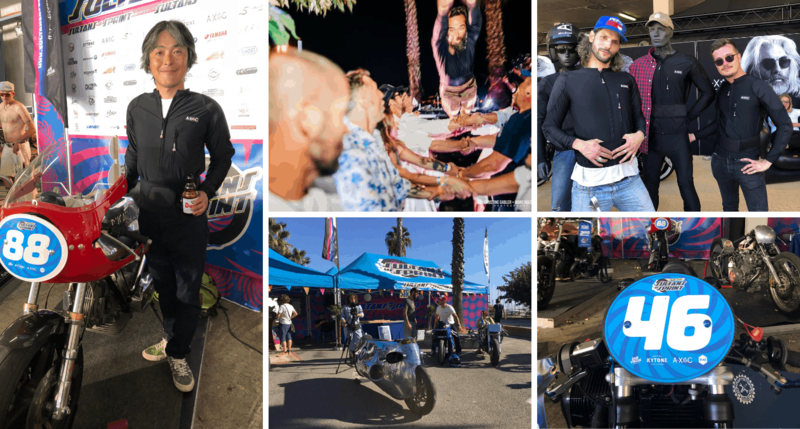 St. Raphaël: The Dandy Riders festival in France hosted the 4th and final round of Sultans of Sprint 2018. A definite highlight was the unique testing of our products as part of the Party Monster Bonus event in the evening: competitors wore our protective jackets to take part in a stage diving ( into the audience) contest! And what are our plans for 2019? 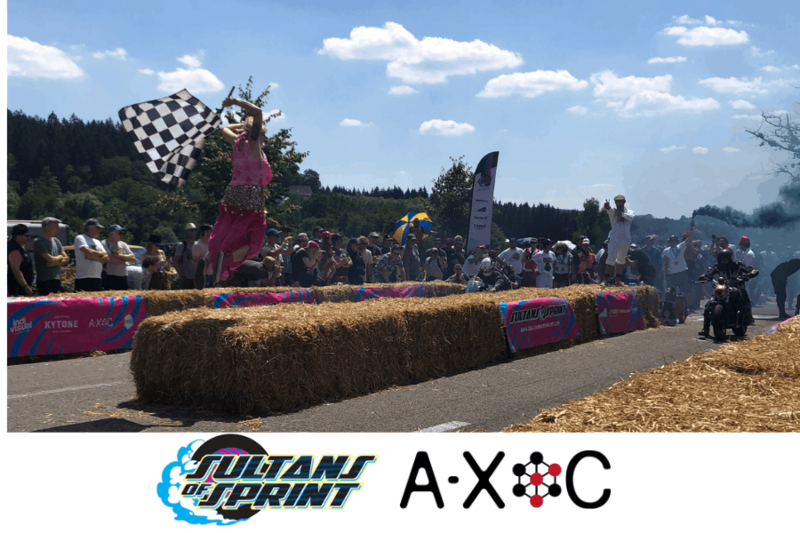 We are really happy to announce that A-XOC will continue with this partnership for the 2019 season and are already looking forward to being at the 2019 Sultans of Sprint events. There will be an A-XOC stand at Montlhery and Glemseck so come and find us there! We’ll be showcasing our A-XOC product range: protective under jacket and base layer trousers, protectors and accessories. You’ll have the opportunity to try out our products with the option to buy on-site. Plus look out for some surprise races organised by us as part of the Party Monster Bonus! Follow us on social media to make sure you have the latest event information.